"The drumming brightens our activity room and turns it into a concert hall of joy!" 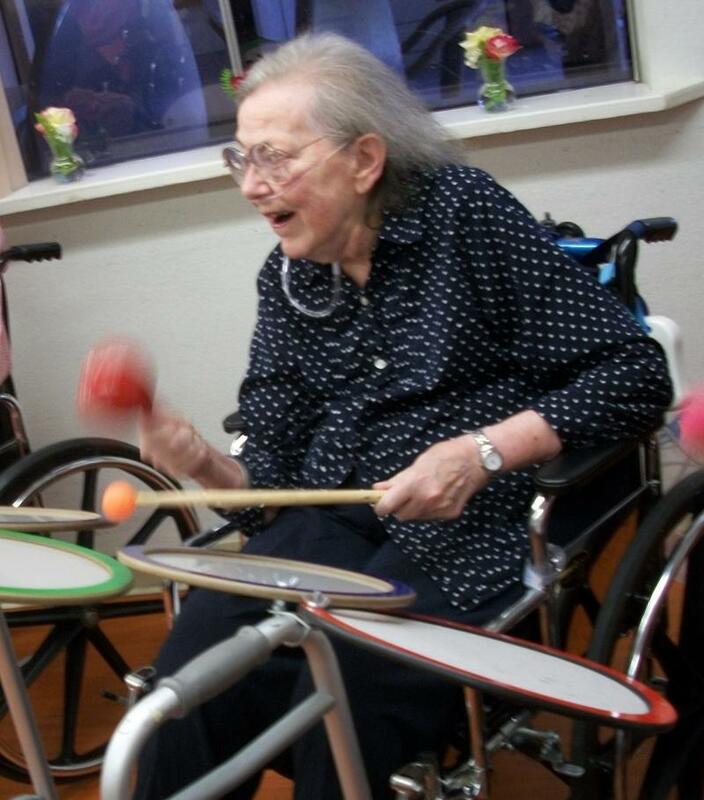 Interactive group drumming is a fun way to "...provide for an ongoing program of activities designed to meet... the interests and the physical, mental, and psychosocial well-being of each resident", as defined in F-Tag 248. Researchers are using music making to begin the testing procedures for dementias, which puts the patients more at ease and garners better results. In a recent study, 32 patients made music by singing and playing percussion… In another test, patients were asked to play a hand drum and imitate rhythms played by a facilitator and to make up their own rhythms. The control group was given standard tests of cognitive ability. The two types of tests both measured similar thinking ability; but the researchers found that tests administered with music making are more useful because music elicits a response from even the most uncommunicative patients and patients in the latter stages of dementia. 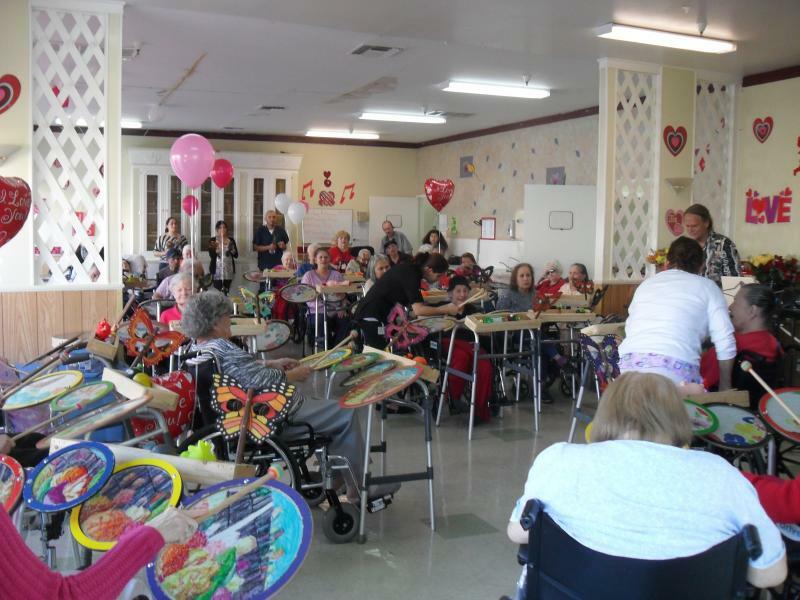 HOW IS MUSIC THERAPY USED IN NURSING HOMES? "MUSIC IS USED WITH ELDERLY PERSONS TO INCREASE OR MAINTAIN THEIR LEVEL OF PHYSICAL, MENTAL, AND SOCIAL / EMOTIONAL FUNCTIONING. THE SENSORY AND INTELLECTUAL STIMULATION OF MUSIC CAN HELP MAINTAIN A PERSON'S QUALITY OF LIFE." "Older Americans are largely unfamiliar with this [drum circle] movement and yet these are the people who could benefit the most. 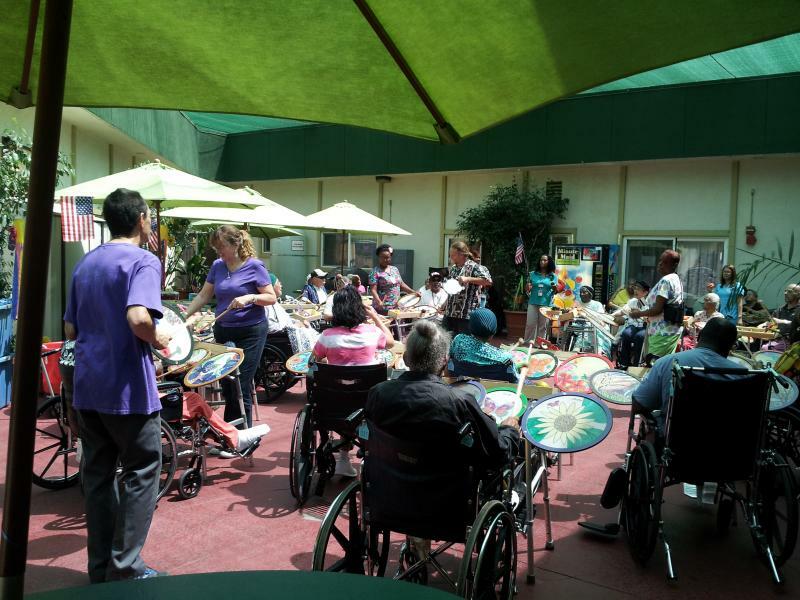 The formation of drum circles among the elderly should be an integral part of any music therapy program...[especially] among the older population now isolated in nursing homes and retirement communities."